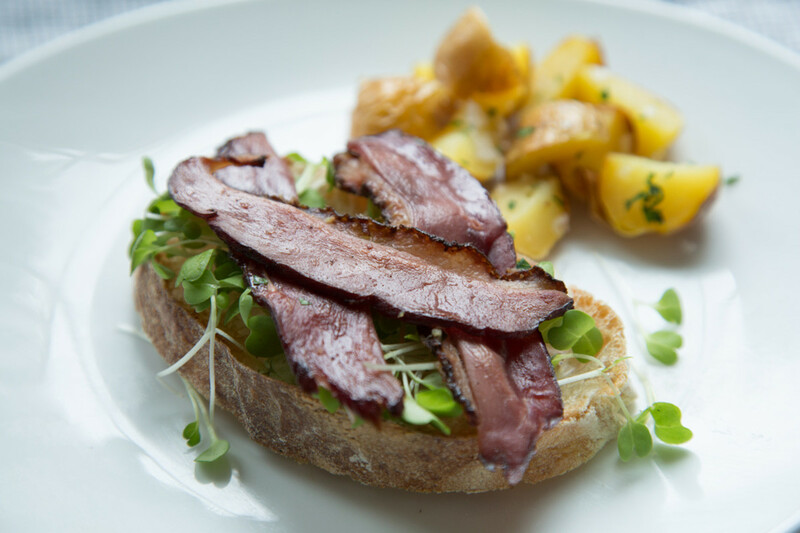 Did you know that you can enjoy bacon, sausage, and more; and it&apos;s all kosher with Pelleh&apos;s exceptional cuts of duck?! 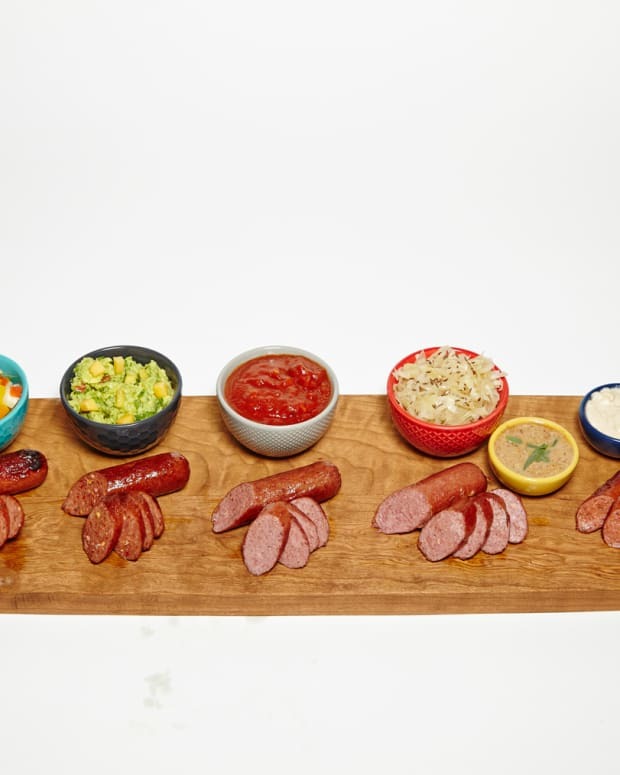 Every time we post about sausage, our readers inevitably respond, "How can sausage be kosher?" 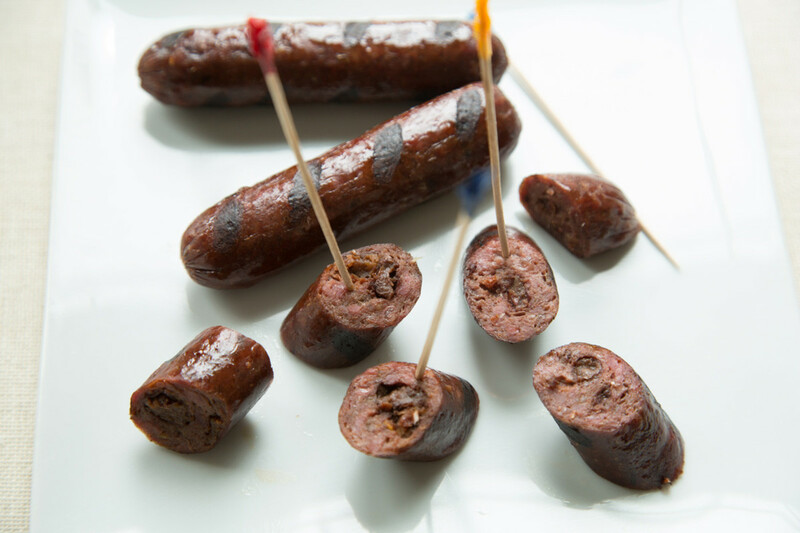 The answer is that sausage can be made from any kind of meat, and most kosher sausage is actually made from beef or poultry. 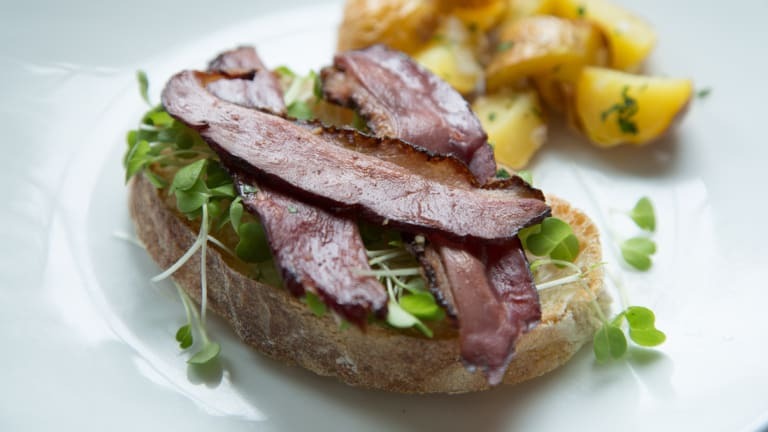 Similarly, kosher bacon has been trending all across the Northeast foodie scene, but it is still a relatively new addition to our kosher lives. Whether you choose to call it "bacon" or prefer the term "fry" that is just semantics. What matters is the flavor and texture. 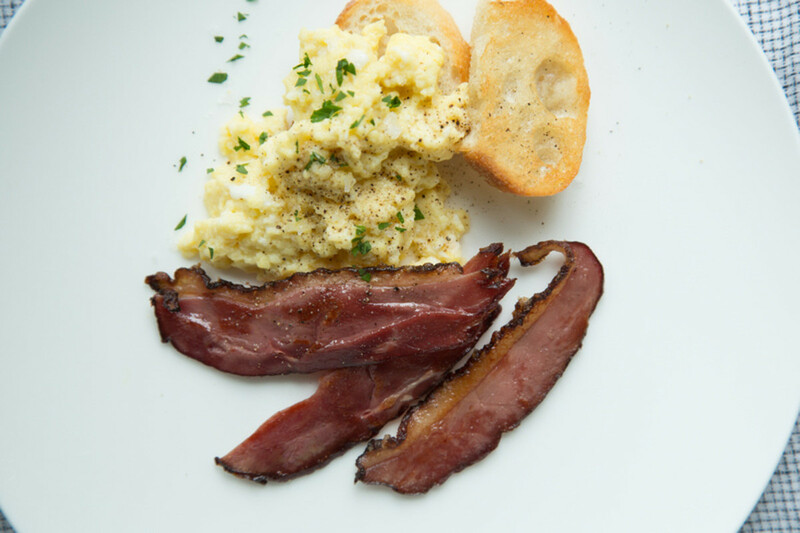 The crispy, smokey flavor found in duck bacon is a delectable experience. Pelleh Poultry has been in business selling poultry delicacies nationwide for over 25 years. They are a small family run operation focused on specialized distribution of high quality poultry. The boutique nature of their operation make them ideal for specialty products and exceptional service. While it is fairly easy to buy a whole frozen kosher duck at the supermarket, it is not so easy to find duck pieces sold separately, especially in stores. No one else in the kosher market is making duck fry or duck sausages. 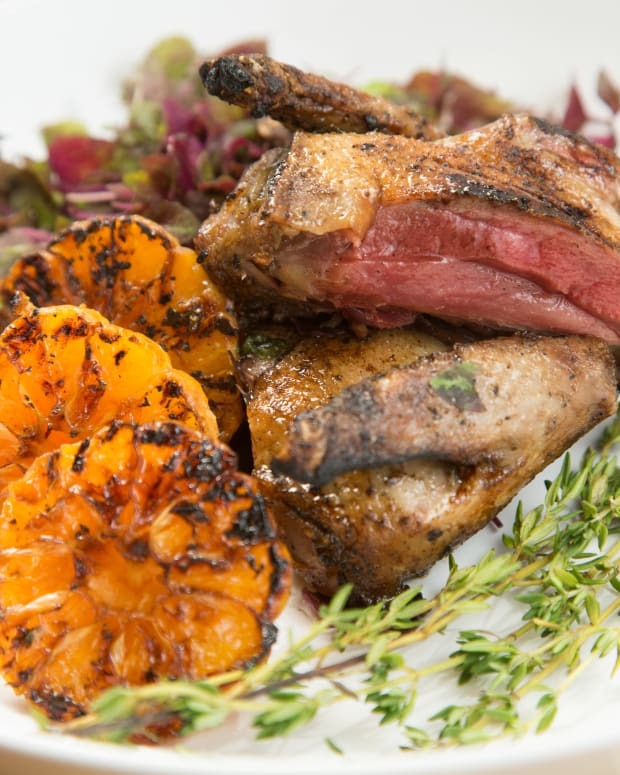 Pelleh is using their unique establishment to offer specialty items to the kosher market; think squab, duck fat, and rillette, (we will talk more about these in the coming months). In 2011, Pelleh built their own cook facility with their own smoke house and they began to offer their own house made deli meats and sausages and everything is USDA certified. Today, they are working to expand their duck products with more duck based sausages. 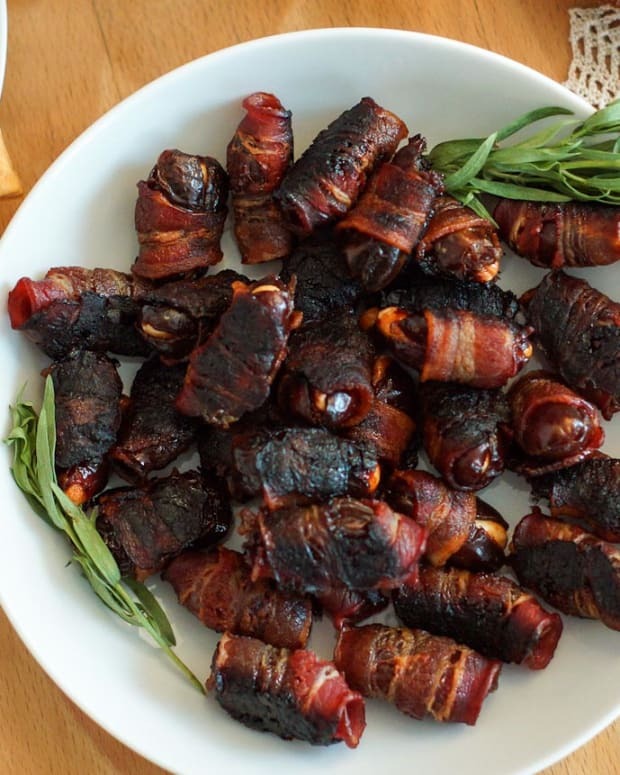 When fried, their duck bacon is crispy with a mouthwatering gamey flavor. 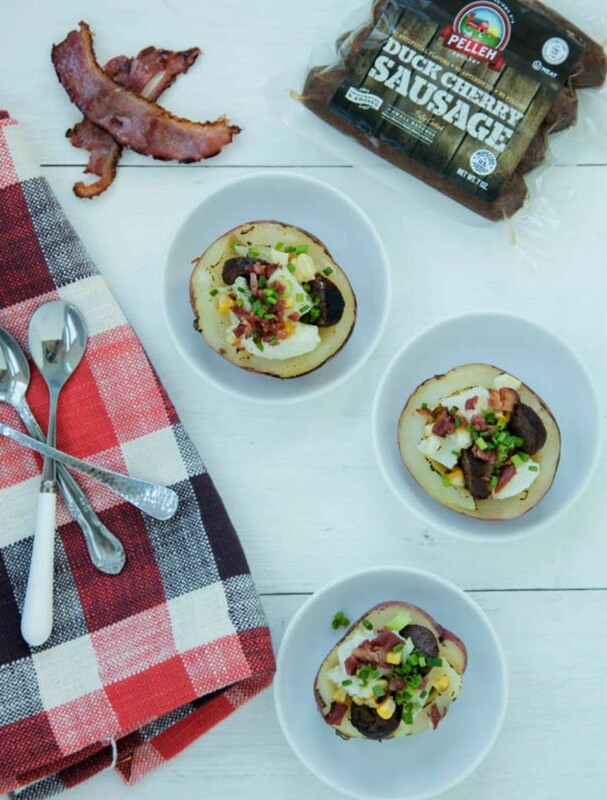 The duck sausage is equally beyond satisfying with an unique cherry flavor, we liked it best in our Loaded Potatoes. 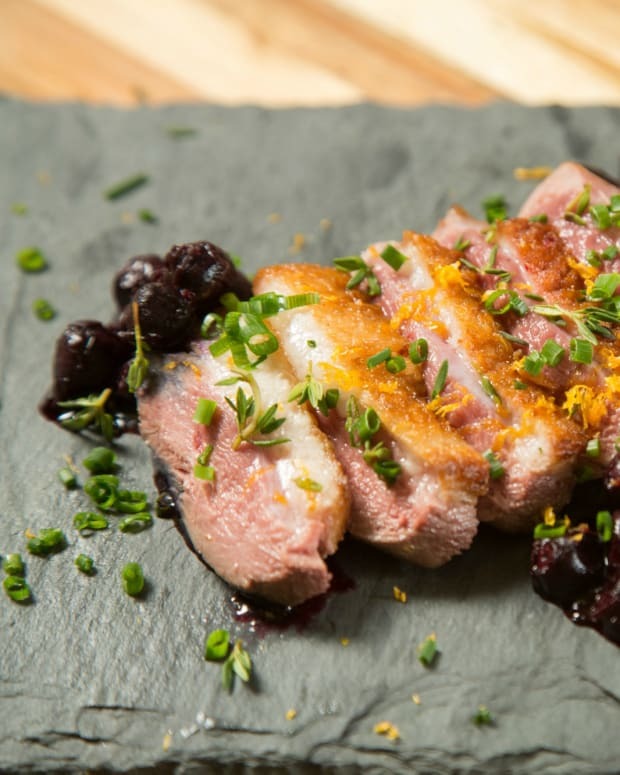 Now you can get the perfect choice of duck for the right recipe without having to debone the duck or render the fat, so these delicious duck recipes will be even easier to make. 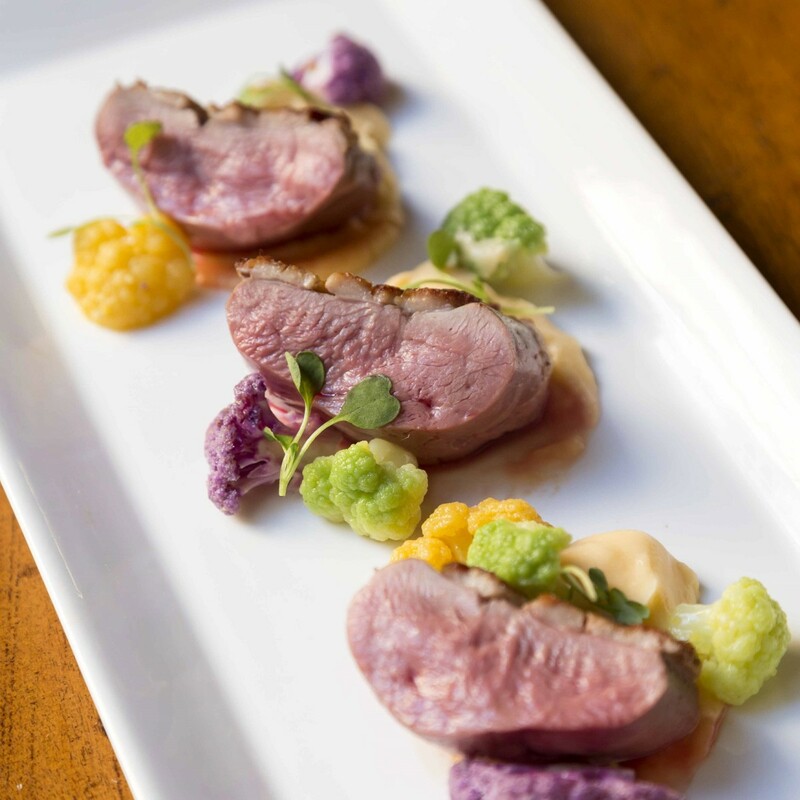 Make sure to request Pelleh duck breast from your local grocer so you can prepare this elegant dinner to perfection. 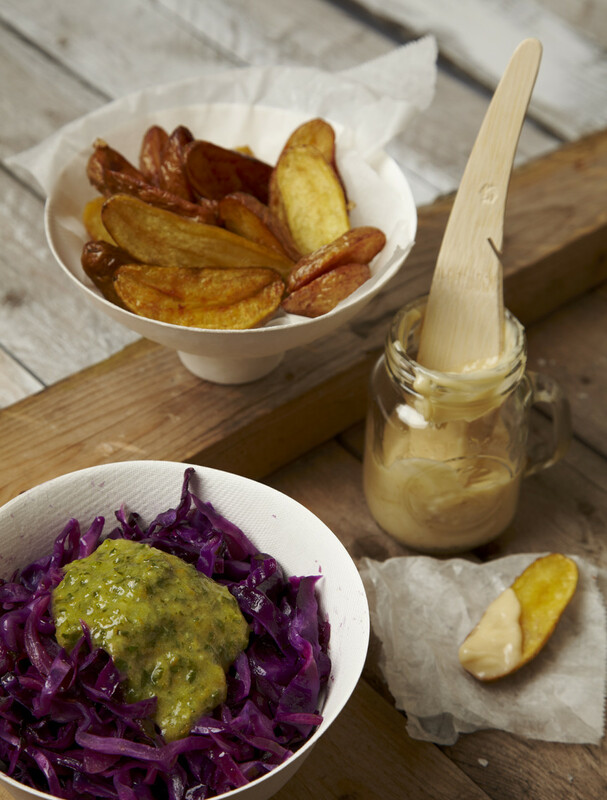 Chef Laura Frankel loves to cook her fries in duck fat. She says, "If I am going to eat a french fry, I want it to be a big fat fry. 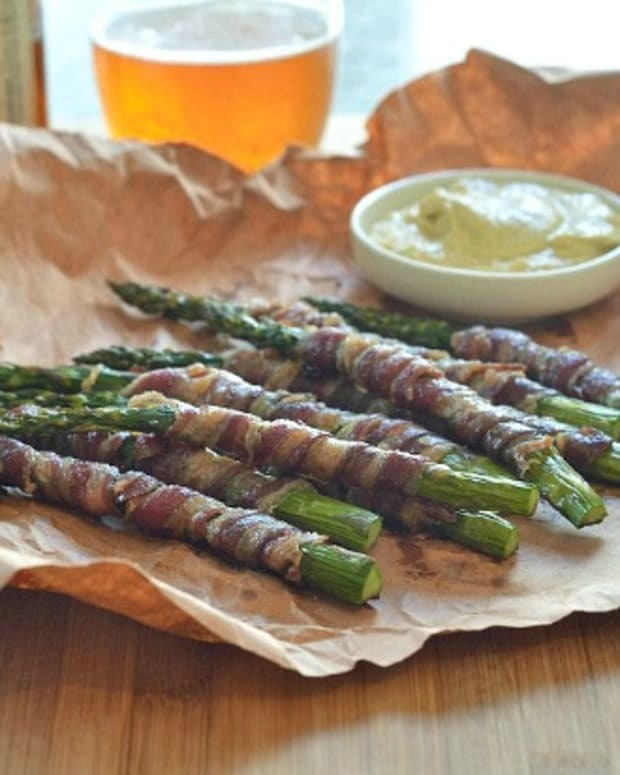 I want flavor, texture and lots of it. Cooking potatoes in duck fat is not a new technique, but it is a delicious one. 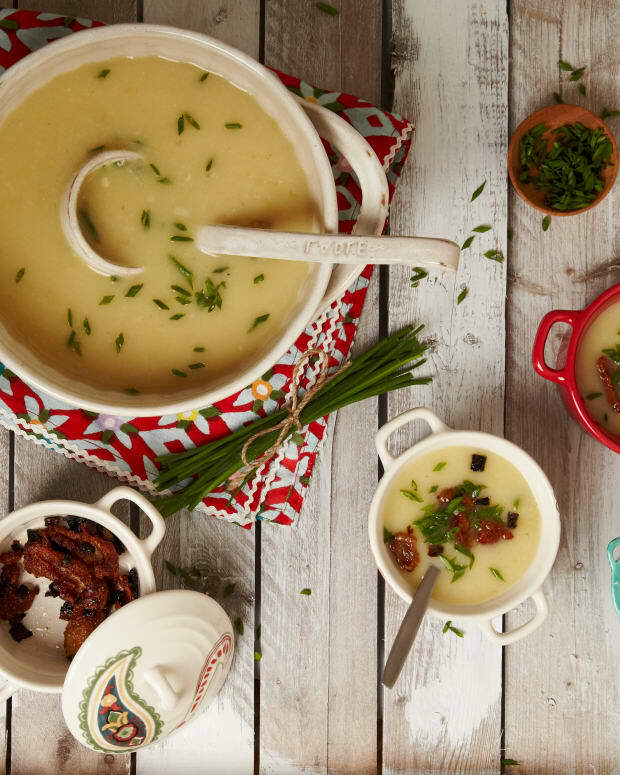 I frequently sauté onions, shallots, potatoes and whatever else I can get my hands on... it is the je ne sais quoi that makes the meal that much more savory and luscious." 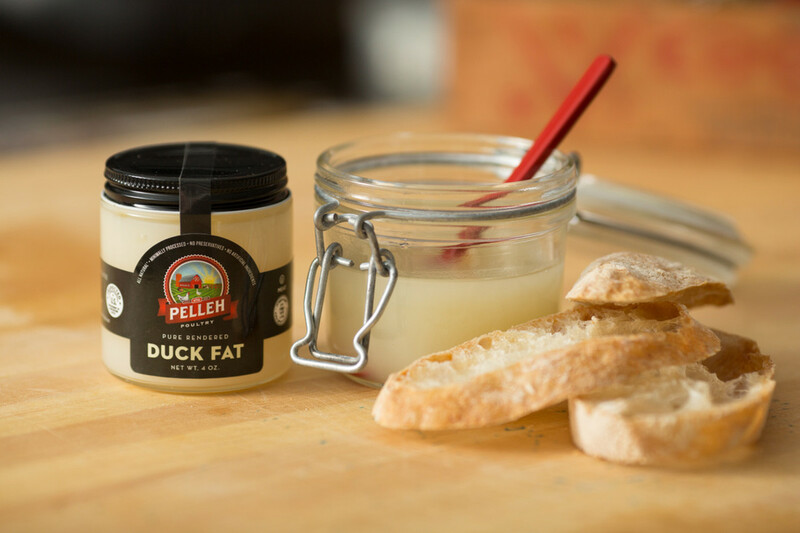 ***Giveaway*** Win a sampler of Pelleh Duck products plus the option to visit the farm with the family!! !